The charity began in September 2001 as a scholarship programme for underprivileged children. It was inspired by Eduardo Estrada Espel, a Guatemalan public school teacher, and Phil Melling. Phil became aware of the secondary educational problems as a result of visiting his son Tom who was teaching in Guatemala City. Together, Phil, a university professor, and Senor Espel wanted to do something to address the lack of educational opportunities for the most deprived children and young people. 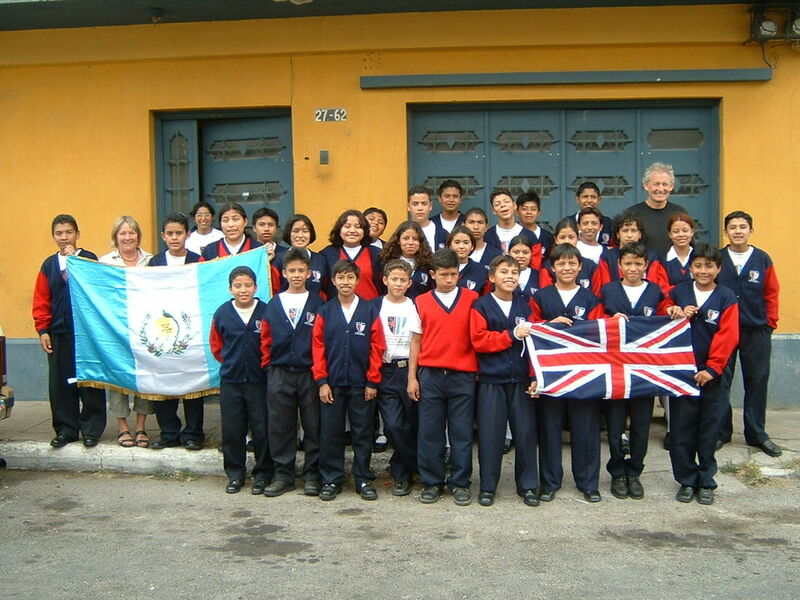 It was Phil's vision, drive and commitment to education and improving life opportunities that forged the British-Guatemalan partnership project that launched the scholarship programme, subsidising secondary education for some of the the most disadvantaged children in Guatemala City. Scholarships allowed children to stay in school after the age of eleven, instead of working on the streets to support their families. The students flourished, and in 2003 it was decided to turn the programme into an initiative which could have a much bigger impact: a fully-equipped secondary school. The charity provided funding for the rental of a building in Zone 5, which was transformed into a school over the summer of 2003. Eight teachers and a secretary were appointed, with Señor Espel as on-site director. Swansea City Council in Wales donated a substantial number of computers and printers. 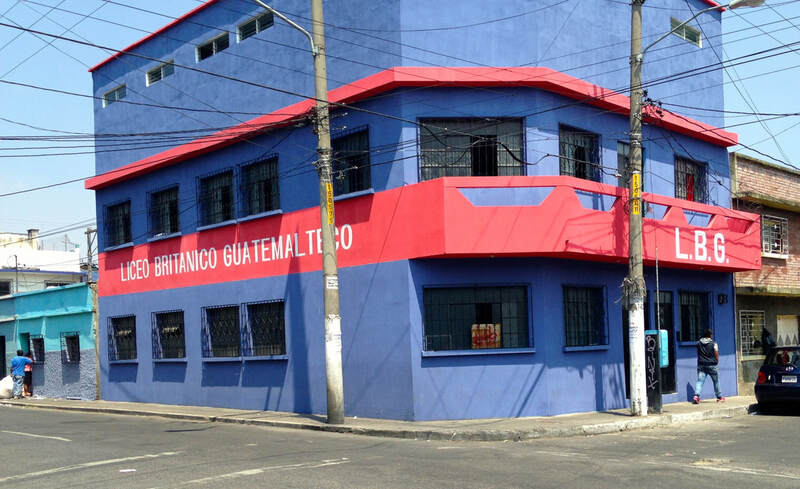 Liceo Britanico Guatemalteco is an independent educational centre, free at the point of entry to those in need. The school opened for classes on 12th January 2004, and currently has 181 students aged 11-18. Our school provides students with the qualifications and skills to gain employment or to continue to higher education. Students complete an approved course of study at the secondary level, and each new intake takes place in accordance with the requirements of the Ministry of Education. Qualified teachers are selected on the basis of their experience with children from deprived backgrounds. The academic standard is high, and our students achieve excellent results. Our first intake of 31 students graduated in November 2006; 95% successfully obtained diplomas and certificates. We have had similar success every year since. School hours are 7am – 1pm. The subjects taught include English, History, Geography, Mathematics, Science, Music, Social Science, Domestic Science, Technical Drawing, Computers and Physical Education. The curriculum is fully approved by the Ministry of Education in Guatemala. It emphasizes self-esteem and community involvement alongside academic achievements. Since 2009 the school has opened on weekends as an adult literacy centre. Currently, we have 35 adults enrolled in adult literary classes, all working towards approved qualifications. To make the project sustainable in the long term, Study Guatemala aimed to buy land for a school building. This was a great success: building began in September 2009, and the new school opened in March 2010. Liceo Britanico Guatemalteco is now free from the financial demands of rent, and the prospects of long-term sustainability are good. This is an exciting and ambitious project, with a track record of success and the support of committed individuals and groups. It reflects the aspirations of local people in Guatemala City and targets specific areas of need. It is currently the only educational charity in Guatemala City that provides free education to children in need. To keep Liceo Britanico Guatemalteco running we need your financial support. Every penny that is donated goes directly to the children helping them to move away from the poverty and crime with which they are surrounded. Eduardo is a teacher and sociologist. He has worked in the state school system for 30 years, and is passionate and dedicated to education. Alongside teaching, he worked for many years with street children. From this came the natural development of seeing how education can change the lives of children and families. He is inspired and committed to making high quality education accessible to those most in need. Guatemala, in Central America, is a country of contrasts. It has some beautiful landscapes and natural habitats, production of world renowned coffee for export, and ancient Mayan history and temples which attract thousands of visitors each year. Alongside this, the country’s capital, Guatemala City, has a different history – one of danger and despair for certain high risk groups – street children, victims of gang violence, and children of the excluded indigenous minority.